Brett Beal here. 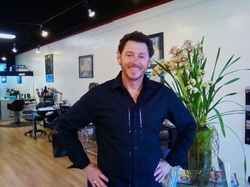 I am the owner and a stylist at Posh La Jolla. I've been hairdressing since 1985, and have attended Vidal Sassoon in San Fransisco. Haircolor is a passion of mine and I have been part of a number of different organizations involving haircolor. Here are a few from my past. A Charter Member in the "International Haircoloring Exchange". The Long Beach Beauty and Trade Show. The San Diego Beauty and Trade Show. A Color Educator for the Wella Corporation. Attended "Color America" with Beth Minardi.